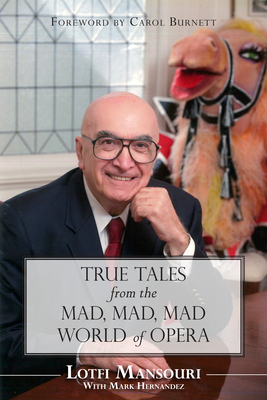 An insider's view of the opera world from one of its greatest figures. Lotfi Mansouri has been a notable international opera director for decades. In addition to a career in Europe, he has headed both the Canadian Opera Company and the San Francisco Opera. He was named a Chevalier in the French Legion d'honneur and in 2009 received the National Endowment for the Arts Opera Honors Award. Mansouri lives in San Francisco. Mark Hernandez is a professional opera singer. When he's not onstage, he can be found writing, teaching, and opining about the performing arts. For more information, visit blazingstage.com. He lives in San Francisco.